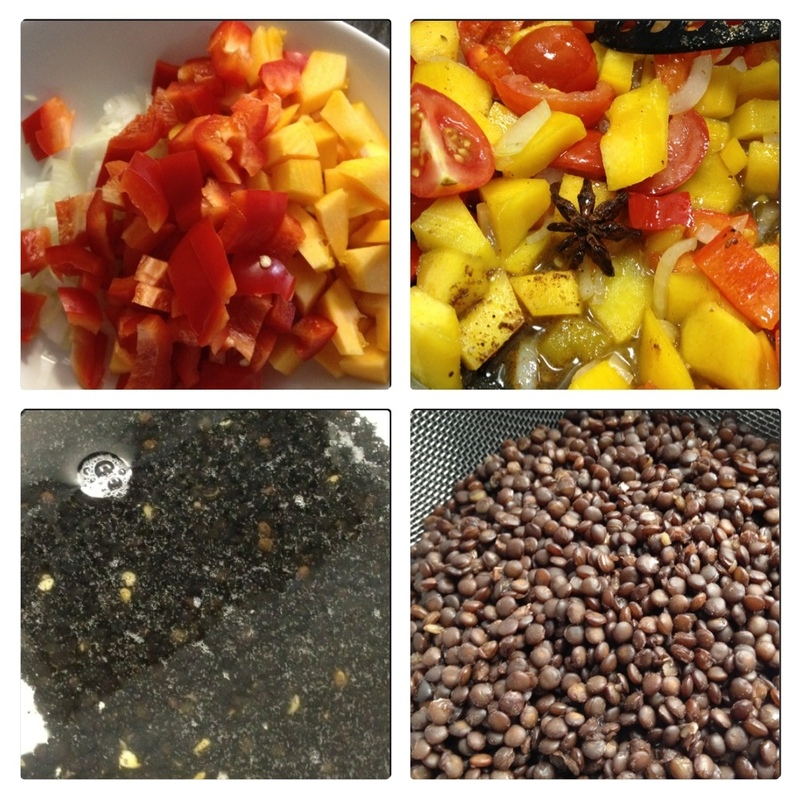 Beluga lentils were on the menu tonight. I couldn’t find a recipe in any of my books and invented my own. I made a sweet and sour vegetable sauce by pan frying chopped onions, peppers and pumpkin and making a sweet and sour sauce with honey (2 tablespoons) and vinegar (1 dl), star anise, ground coriander seeds, ground cloves, salt and pepper. At the same time I cooked the beluga lentils in boiling water for 20 minutes. 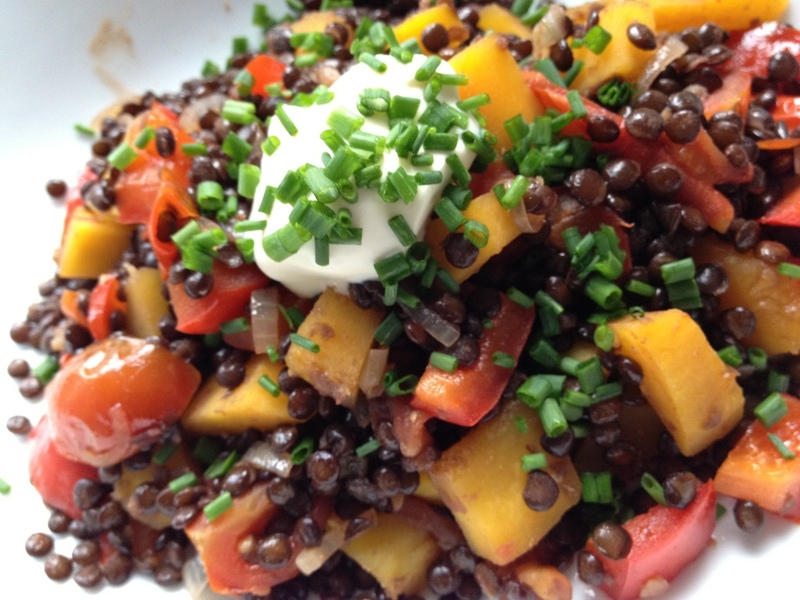 I mixed the lentils with the veg, gave it a stir and put a dollop of crème fraiche and a sprinkle of chives on top. Simple and delicious. And there’s enough left over to turn this into a salad lunch tomorrow.